Heliarc Fabrication is the leading and reputed workshop for its quality and exceptional commercial fabrications in Perth. We offer various designs and other stainless structural steel fabrication services within your budget. The team of fabricators is determined to offer quality workmanship to provide the best services for commercial fabrications in Perth. We have a 15 years of proven experience in providing a wide range of commercial fabrication services Perth by latest tools and technologies at reasonable prices. Our team follows high standards while offering the services to satisfy our customer needs. All our fabricators are hand picked, so you can ensure on our services that you would receive outstanding services second to none. We never assure to our customers, as our results speak louder than us. We not only offer these services, we also provide architectural steel fabrications, custom ute trays and tool boxes, aluminum welding, staircase, balustrading and much more. No job is big or small our commercial fabricators can handle any project accurately in Perth. We never compromise on the quality and always try to meet the highest quality in providing commercial fabrications Perth. Our friendly team of commercial fabricators is at your service to offer the right advice in Perth. We provide our commercial fabrication services in various sectors at competitive prices in Perth. Steel for community fencing and security fencing. Welding of mild steel and stainless steel. 15 years of experience in this industry. 7days quoting for any kind fabrication services. Deliver the project on time and within budget. We serve all our services throughout Peth metropolitan Area. 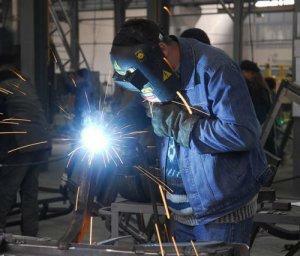 All our team of fabricators provides the services unless or until our customer satisfied with our services. All these services are provided by the experts at Heliarc Fabrication uses the latest technology and methodololiges. Our commercial fabricators coordinate, manage and inspect the quality of the services before leaving our workshop. Our team is also well trained to offer industrial and residential fabrication services in Perth. For any of your commercial fabrication needs in Perth, make a call to our team to discuss freely regarding your requirement at 0451 144 785 or email us at heliarcfabrication@gmail.com about the quires or details about your services to get quotes and our friendly team will get back to you with accurate solutions. Call Heliarc Fabrication on 0451144 785 for any fabrications needs!